Across the world from New York and Singapore (via London and Ibiza) to the beautiful Sunshine Coast. Megan & Cameron were married at St Andrew's Church Sunshine Beach in a stunning wedding day surrounded by their wonderful friends and family. I caught up with the boys at Sunshine Beach before photographing the girls at their ocean view Balinese house. Bridal party photos were at Noosa Main Beach and Noosa Woods, not ot forget on the water with Noosa Dreamboats with the reception at the awesome Rickys Restaurant. 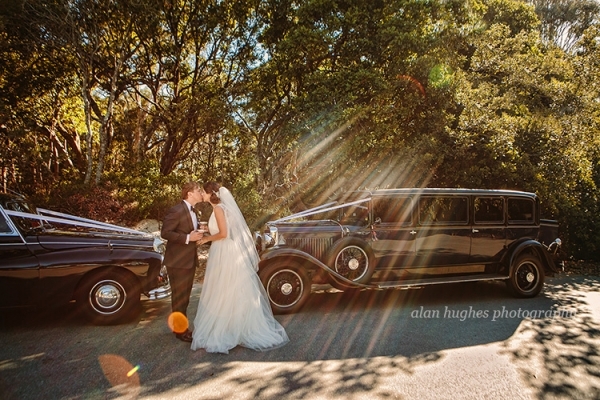 Flowers and decorating was by First Class Functions, cars by Suncoast Vintage Limousines. I had a blast, it was such a pleasure photographing this beautiful couple.